Handyman Dallas Texas 972-265-9058 - HandyPro provides home repair and remodeling service in over 1600 categories including carpentry, drywall, painting and senior home modification including kitchen and bathroom remodeling, stair lifts and wheelchair ramps. Irving TX -- Since purchasing his home remodeling franchise, Aaron Abbott, owner of HandyPro has made customer satisfaction his number one priority. 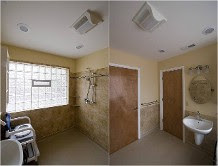 His newest specialty is providing highly customized home remodeling for the aging or disabled so they can enjoy independent living in their own home. 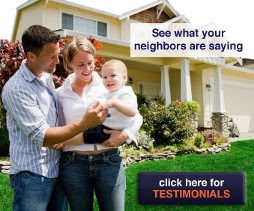 With a passion for helping senior homeowners, Abbott and his home remodeling contractors install the necessary equipment and devices to enable them to remain in their home and provide them with tremendous peace of mind in their golden years. Handy Pro Handyman Service maintains the standards of the American Disability Act, so their clients can be assured their home remodeling and repairs are completed with quality and safety in mind. 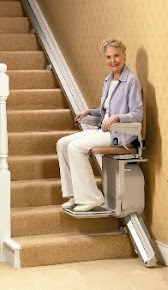 The local, full-service handyman provides mobility and accessibility with home modification services including wheelchair ramps, stair lifts and bathroom remodeling with super strong grab bars, walk-in showers and other home remodeling tasks to make life easier for elderly homeowners and their caregivers. 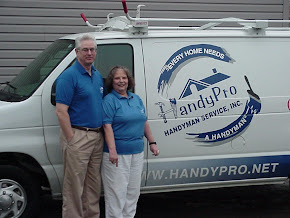 HandyPro Handyman Service offers in-home assessments for seniors and the disabled. Their focus is to find the products that meet their clients’ needs, meet ADA guidelines and help make their life at home as comfortable and safe as possible. Aaron Abbott enjoys a rewarding career while making a difference for seniors. Abbott is a Certified Aging in Place Specialist focused on Houses for Living, Homes for Life. HandyPro Handyman Service specializes in over 1600 categories of home improvement service including general repair like plumbing, electrical and drywall, senior home modification, bathroom and kitchen remodeling, stair lifts, wheelchair ramps and more. Aaron Abbott serves the Greater Dallas area, Plano, Richardson, Irving and nearby cities and communities. Visit http://www.handymandallastexas.com/ to learn more.